We are now offering our patients easy and private access to their dental information online, so you may review appointments, update personal information or make payments to your account. Managing your dental care has never been so easy! 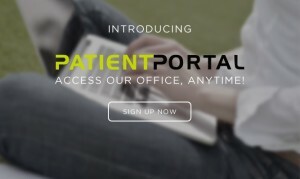 Our Online Patient Portal facilitates better communication with our practice by providing established patients convenient and secure access 24 x 7. Gain access to your private dental information and receive periodic updates and reminders from your doctor on your personal e-mail address or by text! Sign up for access to request appointments, update personal and insurance information, and see your bill. If you have not already been given a username and password for portal access, please contact our office by phone at (512) 847-9521. Wimberley Dentist, Dr. Robert White is dedicated to family dentistry such as Exams, Teeth Whitening, Veneers, and more. We are looking forward to your visit to our Wimberley, Texas dental office.